Wishing you all Happy Card Making Day! At Winnie & Walter, we are celebrating with lots of challenge for you by the designers. I am hosting one of the challenge – RAINBOW colour challenge. Here is my sample for the challenge. 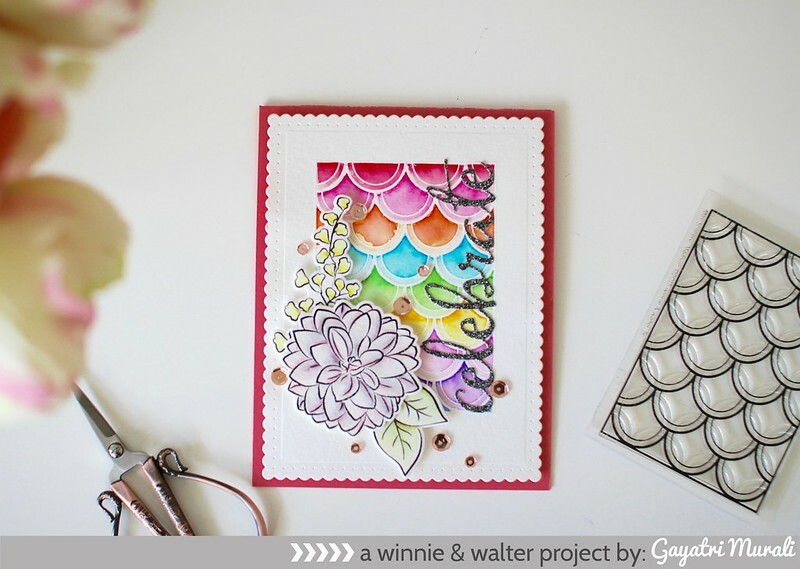 More details are on Winnie & Walter Blog. Come and play along. One random winner will recieve $50 Winnie and Walter gift certificate. There is also a blog hop coming soon. So make sure you visit my blog again shortly! Really love the rainbow colors you used. What a beautiful card. Great combo of designs. Love the way you colored it in.